Cystic fibrosis also called mucoviscidosis affects the lungs and digestive system.Because of the thick secretions produced, simple tasks like breathing and eating become difficult. A faulty gene, found on chromosome 7 that controls the salt moving in your body is the cause and the result is an abnormal transport of chloride and sodium. This mutation of the gene CFTR lets too much salt and water into cells causing thick and sticky mucus in tubes and airways. The cells that line the airways of the lungs make sputum or mucus that is thicker than normal.The airways of the lungs are clogged by the accumulation of mucus and results in inflammation. The bacteria will eventually cause pneumonia. Cystic fibrosis is inherited if both parents are carriers. Symptoms in babies often appear in the form of meconium ileus, a bowel obstruction, an early sign of cystic fibrosis. 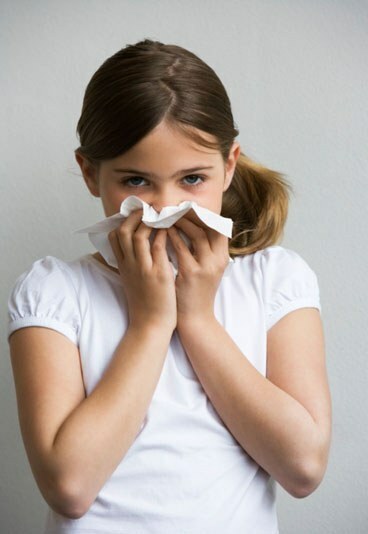 Poor growth (inability to gain weight and height) also presents in children as a symptom of cystic fibrosis. CF affects the pancreas, liver and intestine making it difficult for the body to absorb nutrients properly. The symptoms vary from persistent coughing to repeated chest infections. Those symptoms are pretty common therefore careful screening is necessary. All newborns are now tested at birth for cystic fibrosis but it is important to get tested if one of your relatives is a carrier or if any of the above listed symptoms keeps occurring without explanation. a new quality of life with the most modern, efficient and less restrictive technique: The New Chest physiotherapy. The Goal of the New Chest Physiotherapy is to increase the quality of life of our patient. Old Chest Physiotherapy as clapping or percussion could be binding and very unpleasant for patients with cystic fibrosis. Even more when it has to be repeated once or twice a day. The New Chest Physiotherapy based on slow expiration has been proved more efficient, gentler and less binding to clear the lungs. The Specialized-nCPT is the result of almost 20 years of research in collaboration with doctors and engineers. It is based on rigorous scientific data collected under MRI scans. It has been used and improved for more than 15 years in France, Belgium, Switzerland and USA and now in the UK. Can be done passively or the with the help of the patient. we make it more ludic and fun while keeping its efficiency. We bring our patients towards more independence. when they cannot see the physiotherapist. For adult we teach them autogenic drainage. Specialised Physiotherapists with 10 to 25 years of experience in respiratory for adults and children.